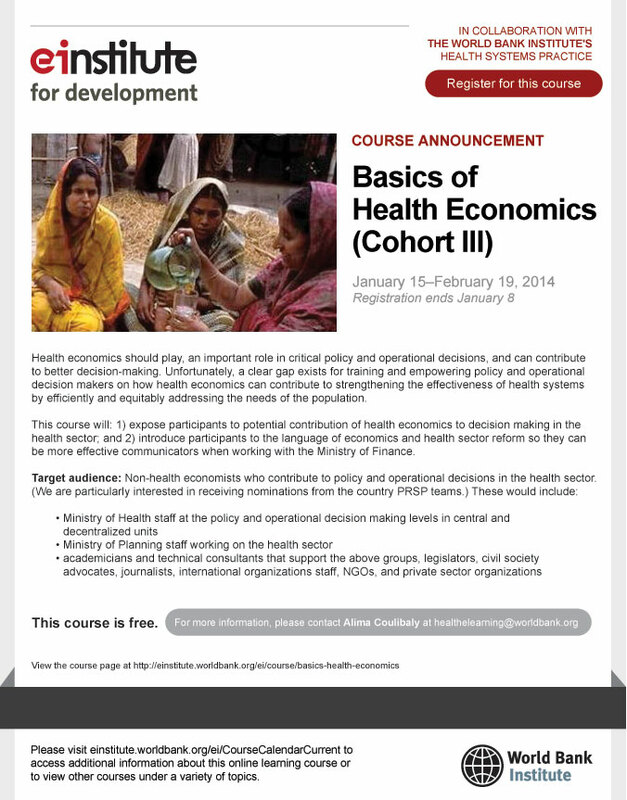 [Health] Fwd: [schoolhealth] Free online course // Basics of Health Economics (Cohort III) | Jan 15-Feb 19. (Cohort III) | Jan 15-Feb 19. Please see the details below for a free online Health Economic course. this on to your colleagues and friends.